HealthViva Hair is a scientifically designed formulation to strengthen hair roots, encourage new hair growth and prevent hair fall. 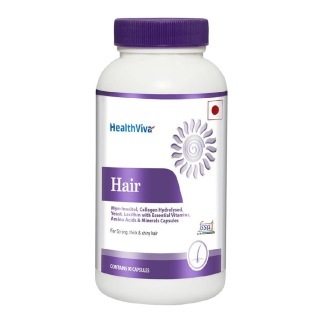 HealthViva Hair capsules are fortified with Biotin, essential vitamins, minerals and necessary amino acids. 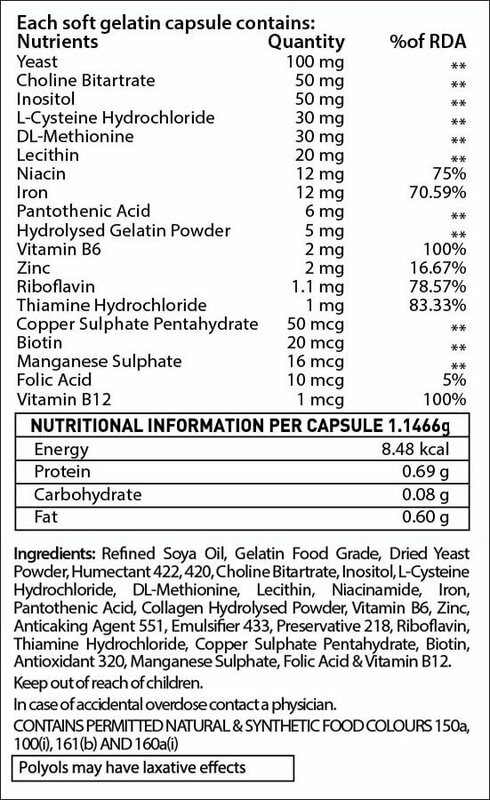 Biotin, a B-complex vitamin contains sulphur. It is helpful in improving the structure of keratin, the basic protein that makes up hair. A biotin deficiency may cause hair breakage and loss. B-complex vitamins, minerals and amino acids in HealthViva Hair capsules encourage growth of new hair and boost hair growth. This helps build strong, thick and lustrous hair. Regular use of HealthViva Hair boosts supply of oxygen to hair follicles. It greatly benefits strength and hair texture and stimulates growth of new hair. Get HealthViva Hair to end bad hair days. Serving Suggestion: Both men and women can safely consume 1 capsule in a day, or follow the advice of your health-care practitioner. I have been using this tablet since 15 days found my hair fall has come down drastically. It has components which also is good for skin and I am finding some changes on my skin as well. I have seen pigmentation getting lightened on my face. Its a very true personal experience after consuming this tablet for these 15days. Hope I see some good results in future. Hairfall has stopped ,further need to check for any new hair growth. great product... my hair seem more silky and smooth.